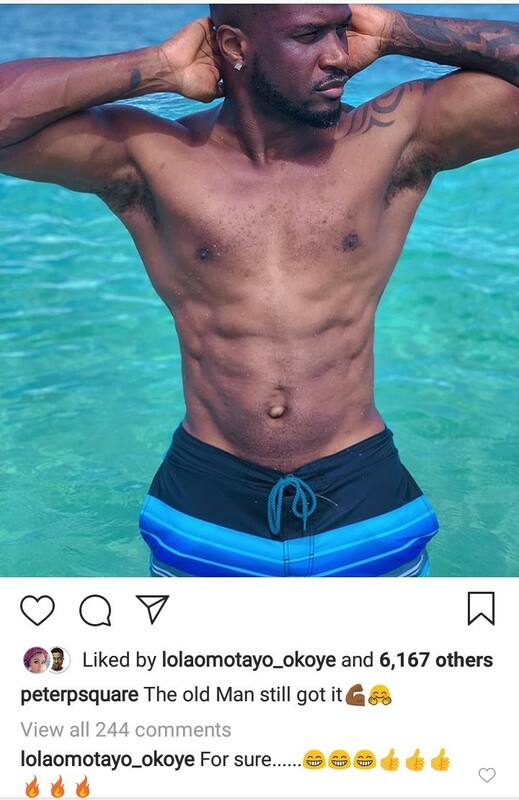 Peter Okoye shared a photo of his ripped abs on Instagram and Lola Omotayo had something to say about it. The singer took the photo while chilling in Lisbon, Portugal and shared it with the caption, " The old man still got it." His wife agreed, writing, "for sure," then added fire emojis.